MADSEN® Astera2 - the most preferred clinical audiometer in the U.S.
Have you always wondered when audiology will go paperless? When can you stop scanning all your results and truly become electronic? The time is now! Whether you have one clinic or multiple sites with a variety of equipment, a solution has arrived. Otoscan - 3D Ear Scanning: The Future is Now! Learn how 3D scanned ear images are used as a tool during hearing aid consultations to engage, educate, motivate, potentially improve outcomes, communicate value and differentiate your practice. What's New in the Otometrics Bio-logic Line of Devices? This presentation will highlight new innovations in technology within the new generation Bio-logic devices. These technologies are meant to help to improve efficiency and also add to the armamentarium of tests that can be performed with one device. Technology that will be discussed will be for ABR, ASSR and DPOAEs. ABR topics will cover data collection from both ears at the same time and spread spectrum technology. ASSR will highlight mixed rate ASSR and DPOAE will showcase the use of an FM signal, binaural OAE, pressurized OAEs and threshold estimation software to estimate audiometric thresholds using DPOAEs. 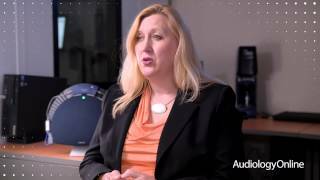 AudiologyTV features Audiology Systems and OTOSCAN by Otometrics. Audiology Systems is the exclusive distributor for Otometrics and other leading brands in hearing and balance in the United States. Mona Dworsack-Dodge, Marco Jurado, and Keeley Moore from Otometrics discuss their latest efforts in bringing customer care to clinicians; from seminars to product support and everything in between. January 9, 2019 Otometrics University, the student-focused workshop, may be of interest to students who are enrolled and completing courses towards their doctorate in audiology (AuD) in universities based in US and Canada, and would be interested in networking and learning about other audiology career paths aside from the clinical practice, while experiencing hands-on workshops on vHIT, VEMP, probe microphone measurement (PMM) or real ear training, as well as a digital ear scanning with Otoscan®. May 16, 2018 Otometrics/Audiology Systems recently completed its 4th Annual Audiology Systems University (ASIu). The two-day educational event was introduced in 2015 as an exclusive invitation-only workshop. April 19, 2018 Otometrics unveils today at AAA 2018 in Nashville, Tennessee, Otoscan® – a breakthrough 3D digital ear scanning solution. January 15, 2018 Third major hearing instrument manufacturer can now integrate with Otometrics fitting solution Aurical® to advance integrated verification in hearing instruments for greater efficiency, time-savings and a better fitting experience. January 10, 2018 2018 Audiology Systems University open to audiology students looking for hands-on training.Schaumburg, IL | January 9, 2018 – Otometrics/Audiology Systems announce the new dates for its 4th Annual Audiology Systems University (ASIu). August 2, 2017 Otometrics/Audiology Systems announce new dates for 2017 courses available at 0.7 AAA CEUs.Schaumburg, IL | August 1, 2017 – Otometrics/Audiology Systems recently announced new dates for its annual Hands-on Training Series. The courses focus on evoked potential (EP) and videonystagmography (VNG), head impulse testing, and fitting techniques respectively. June 16, 2017 Company celebrates 10 years of helping audiologists and professionals streamline their hearing assessment and fitting workflow with Otosuite.Schaumburg, IL | June 15, 2017 – Otometrics/Audiology Systems is pleased to announce that this year marks the 10-year anniversary of the Otosuite® software interface. May 31, 2017 Company strengthens hearing diagnostic and screening portfolio.Schaumburg, IL | May 30, 2017 – Otometrics/Audiology Systems is pleased to announce the addition of the Bio-logic brand to its offerings. May 7, 2017 2017 Audiology Systems University gives students expert insight into the audiology profession.Schaumburg, IL - May 4, 2016 – Otometrics/Audiology Systems successfully hosted their 2017 Audiology Systems University (ASIu)—an exclusive two-day course. April 19, 2017 New feature enables automated fitting to target in a coupler with Aurical® and Phonak Target.Schaumburg, IL - April 18, 2017 – Otometrics A/S, the leading global manufacturer of audiology instrumentation and software solutions announced today new functionality in Aurical – the market-leading, complete modular fitting solution – that makes it possible to do automated fitting to target in a coupler from inside the new Target 5.1 fitting software from Phonak. April 2, 2017 New immittance solution, advanced fitting and verification features and a smart mid-range audiometer give hearing care professionals more ways to help their patients to better hearing.Schaumburg, IL - March 31, 2017 – Otometrics A/S, the leading global manufacturer of audiology instrumentation and software solutions unveiled today at AudiologyNow! 2017 several new solutions and features to help hearing care professionals boost efficiency and accuracy throughout their clinic. March 9, 2017 Schaumburg, IL | March 6, 2017 – Otometrics and Audiology Systems announced today that its FittingNOW! 2017 Expert Series is open for registration.Dr. Gus Mueller, facilitates the 7-hour FittingNOW! Expert Series. February 14, 2017 New testing features makes Sentiero a complete, portable diagnostic solution.Schaumburg, IL - February 6, 2017 – Otometrics/Audiology Systems is pleased to announce that Sentiero Diagnostic Desktop by PATH Medical now includes air/bone/speech audiometry, manual pump control for tympanometry and pressurized OAEs making it a complete diagnostic solution in one lightweight, portable device. January 5, 2017 Otometrics begins new era as part of Natus – becomes the world’s largest independent provider of hearing aid fitting solutions. 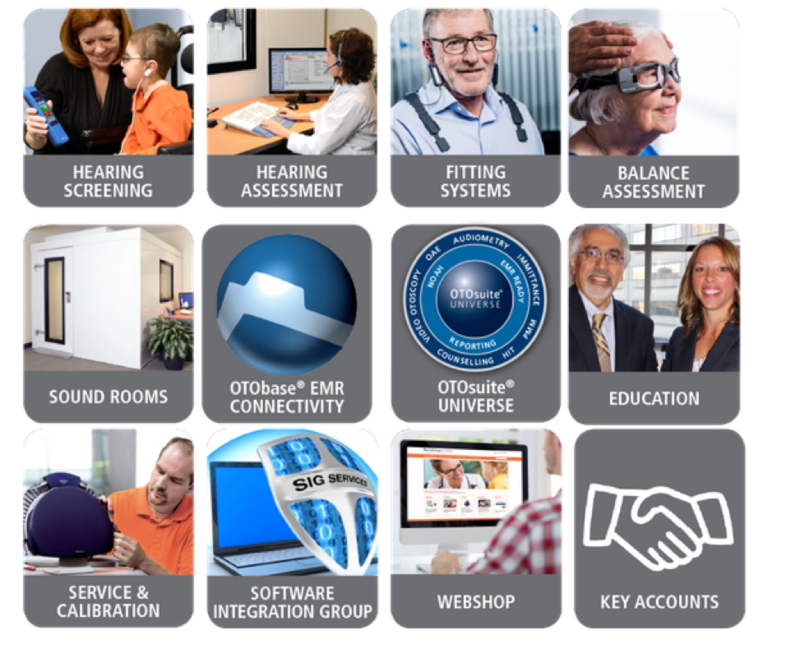 November 2, 2016 OTOsuite – the integrated audiology software platform from Otometrics – includes new functionality to streamline workflow for hearing care professionals. Schaumburg, IL - November 1, 2016 – GN Otometrics, the leading global manufacturer of audiology instrumentation and software solutions announces the release of OTOsuite®4.81. September 8, 2016 New immittance solution by Otometrics with innovative, lightweight probes delivers quick sealing, maximum control and reliable results.Schaumburg, IL | September 7, 2016 – GN Otometrics, the leading global manufacturer of audiology instrumentation and software solutions announced that the new MADSEN® Zodiac—its newest immittance testing solution—was recently cleared by the US Food and Drug Administration (FDA). August 10, 2016 For a limited time, attendees who register for the full 3-day VNG/ENG course will receive one complimentary pass for a colleague. Attendees can earn up to 21 Tier 1 certification hours. Schaumburg, IL - August 9, 2016 – Audiology Systems and GN Otometrics recently announced that its long-running continuing education program, the annual VNG/ENG Course (known as “The Barin Course”) will be held at the Allerton Hotel in Chicago, Illinois on October 19-21, 2016. July 14, 2016 September and October courses available at 0.7 CEUs.Schaumburg, IL - July 13, 2016 – Audiology Systems, a full-service, U.S. distributor of GN Otometrics products; and other leading audiology and vestibular equipment, announced new dates for its Hands-on Training Series in September and October 2016. June 17, 2016 Audiology Systems strengthens southeast coverage with the addition of industry veterans.Schaumburg, IL - June 15, 2016 – Audiology Systems, a national partnership of industry professionals, audiologists and local audiology and vestibular instrument experts, announced the expansion of its local team in the Southeastern United States. March 11, 2019 Lance Brown, Kathleen Hill Have you always wondered when audiology will go paperless? When can you stop scanning all your results and truly become electronic? The time is now! Whether you have one clinic or multiple sites with a variety of equipment, a solution has arrived. February 4, 2019 Jackie Phillips, AuD Learn how 3D scanned ear images are used as a tool during hearing aid consultations to engage, educate, motivate, potentially improve outcomes, communicate value and differentiate your practice. October 1, 2018 Kathleen Hill, AuD, FAAA This course describes Auditory Brainstem Response testing. Test parameters, waveform identification and diagnostic techniques are reviewed. August 27, 2018 Brianna Young, AuD, FAAA As Audiologists we need to understand the components of a tinnitus evaluation and have knowledge of different tinnitus management strategies. This presentation will review the basics of a tinnitus examination, as well as management options. Management options include Cognitive Behavioral Therapy (CBT), Tinnitus Retraining Therapy (TRT), Apps for a cell phone or tablet and holistic approaches. In addition to management options, a review of the “Big Six” hearing aid company’s avenues for tinnitus management will also be outlined. Madsen Zodiac - What's New in Immittance! September 28, 2017 Jeanette Fitzke, AuD Instruction for efficient use of the Madsen Zodiac Immittance device. April 17, 2017 Keeley Moore, MA, CCC-A, FAAA One main goal of telehealth is to improve access to specialty care, especially in rural areas, or other areas that are not easily accessible. Someone who needs care may live a great distance away from the nearest hospital or clinic. In addition to distances challenges, there may be access-related challenges. For example, it is 30 miles from the south side of Chicago to the north side, but the trip could take you 90 minutes due to traffic. In addition to improving access, we want to reduce the time spent in travel, for both the patient and for the clinician. Another benefit of telehealth is to reduce the amount of time patients have to take off of work, which will ultimately reduce travel expenses. May 16, 2016 Keeley Moore, MA, CCC-A, FAAA, Dawn Violetto, AuD Keeley Moore: FRESH noise, or frequency-specific hearing assessment noise, is a narrowband noise (NBN) stimulus designed for the purpose of measuring hearing thresholds. It is frequency specific due to extremely steep filter slopes. Because of these steeply sloping filters slopes, the stimulus does not spread beyond the desired frequency range. In addition to being frequency specific, it is appropriate for threshold testing because it is calibrated in dB HL, unlike narrowband noise. FRESH noise came about because of the realization that narrowband noise was being used as a stimulus for testing. Studies show that when you test threshold levels with different stimuli, you find approximately the same threshold results with pure tones, frequency modulated tones, and FRESH noise. However, with narrowband noise, threshold values not consistent with thresholds obtained with the other stimuli. This obviously leads to errors in testing. Narrowband noise was originally designed not as a testing stimuli but as a masking noise, in order to address the challenge of how to go about testing an individual ear. March 21, 2016 Jill Craig I would like to begin with a vocabulary review so that we are on the same page. The VEMP investigates otolith and vestibular nerve function. Dysfunction is characterized by feeling similar to being on a boat or an elevator. It may be a spinning sensation when people say that they are dizzy. The VEMP is a short-latency electromyographic (EMG) potential and it is evoked in response to high-level acoustic stimuli. The responses are mediated by the vestibular system. It provides ear-specific information about otolith and nerve function. Can Otobase be Utilized in Independent Practices? April 1, 2019 Lance Brown, Kathleen Hill, Mona Dworsack-Dodge, AuD Otobase has been utilized as an EMR solution for hospital-based clinics. But what about patient data integration for independent practices, specifically audiology/ENT clinics that are not part of a health care system? What is the First Step in Transitioning to EMR? March 4, 2019 Lance Brown, Kathleen Hill, Mona Dworsack-Dodge, AuD For Audiology Managers, who are ready to make the transition to EMR, what the first step to start an Implementation Project? 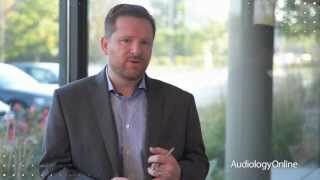 How Can Otobase Help Practices Meet Audiology Health IT Needs? February 4, 2019 Lance Brown, Kathleen Hill, Mona Dworsack-Dodge, AuD Electronic Medical Records (EMR) or Electronic Health Record (EHR) is an ongoing initiative in the healthcare landscape today. 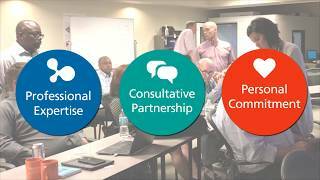 What is Otobase® and how does it help practices meet audiology health IT needs? When Performing Evoked Potentials, Are There Any Tips for Applying Electrodes? December 24, 2018 Kathleen Hill, AuD, FAAA When performing evoked potentials, are there any tips for applying any type of electrode? What Should be Considered When Prepping for Evoked Potential Assessment? November 27, 2018 Kathleen Hill, AuD, FAAA What should a clinician consider when prepping a patient for evoked potentials? September 14, 2018 Brianna Young, AuD, FAAA Why should we conduct tinnitus assessments for our patients? Can Otosuite Help with EMR Transition? October 23, 2017 Angela Flores, AuD, CCC-A, FAAA, Lance Brown Why should hearing healthcare practices transition to electronic medical records or EMR? Can Otosuite help with EMR transition? How can Otosuite Help Practices to Generate New Revenue Streams or Add New Services? September 18, 2017 Angela Flores, AuD, CCC-A, FAAA, Jeanette Fitzke, AuD, Keeley Moore, MA, CCC-A, FAAA How can Otosuite help hearing care professionals develop new revenue streams or specializations within their practices? How Can I Get the Most out of My Equipment Budget? August 21, 2017 Jackie Phillips, AuD, Angela Flores, AuD, CCC-A, FAAA, Jeanette Fitzke, AuD, Lance Brown, Keeley Moore, MA, CCC-A, FAAA Any tips for audiology practice owners who are looking for ways to maximize their equipment budget? 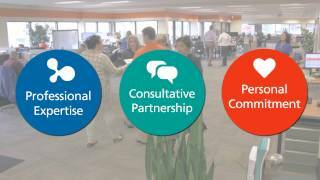 How Does Otosuite Integration Support Day-to-Day Audiology? July 17, 2017 Jeanette Fitzke, AuD, Angela Flores, AuD, CCC-A, FAAA, Jackie Phillips, AuD How does Otosuite integration work? 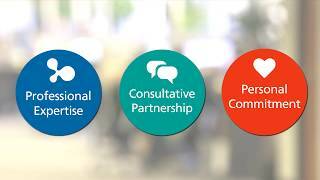 How does it support day-to-day audiology? How Can Aurical Support my Verification Needs? June 19, 2017 Peter Kossek How can Aurical support my verification needs, especially in in this time of evidence-based care and documenting outcomes? What are the Practical Benefits of Automated Verification Using Aurical? May 8, 2017 Peter Kossek, Wendy Switalski, AuD What are the practical benefits of automated verification using Aurical? What is the Difference Between Hearing Aid Verification and Validation? April 3, 2017 Peter Kossek, Angela Flores, AuD, CCC-A, FAAA What is hearing aid verification, and how is it different from validation? Why is verification an important part of the fitting process? 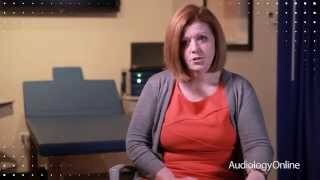 How Does Having Integrated Audiology Equipment Benefit my Practice? March 13, 2017 Diane L. Sabo, PhD, Jeanette Fitzke, AuD More and more I hear about the importance of having audiology equipment that works together. 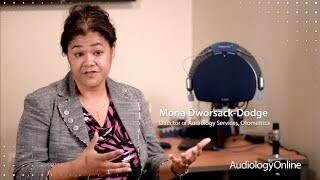 How does having integrated audiology equipment benefit my practice? What Should I Look for When Choosing a New Immittance Testing Solution? February 20, 2017 Jeanette Fitzke, AuD, Diane L. Sabo, PhD, Dawn Violetto, AuD I need to purchase a new tympanometer and it has been a few years since I have looked for one. What is new in the area of immittance testing and what should I look for when choosing an immittance testing solution? How Can I Save Time and Improve My Patients' Experience with Immittance Testing? January 23, 2017 Clement Sanchez, Diane L. Sabo, PhD Immittance testing is a standard part of my workflow, but many times, I feel like I do not have control over the test process. Can you suggest ways to help me save time and improve my patients' experience? Do You Have Suggestions for Cost Saving Tips for Practice and Office Management? December 1, 2016 Lance Brown, John Berry, Tom Crisman, Chris Nash Do you have suggestions for cost saving tips for practice and office management? October 18, 2016 Jackie Phillips, AuD How can I maximize my equipment purchases while minimizing the financial impact? September 12, 2016 Clement Sanchez, Wendy Switalski, AuD Is tinnitus considered a hearing disorder? Where does an audiologist begin when assessing a patient with tinnitus symptoms? September 5, 2016 Kris Phillips, Eric Melton, John Brewer, Robert Gray, Tom Crisman Any “tips of the trade” for practice owners and audiologists when it comes to equipment service and calibration? March 18, 2019 Don Kim, AuD, Jackie Phillips, AuD, Jeanette Fitzke, AuD, Keeley Moore, MA, CCC-A, Melissa Lebon, AuD, Ellen Frederick, AuD Interview with Otometrics North America Audiologists Don Kim, Jackie Phillips, Jeanette Fitzke, Keeley Moore, Melissa Lebon and Ellen Frederick. January 7, 2019 Lance Brown, Kathleen Hill, Mona Dworsack-Dodge, AuD In an exclusive interview with Otometrics, a division of Natus, Director of Software Integration Group Lance Brown, Director of Commercial and Educational Development Kathleen Hill, AuD, and Director of Key Accounts Mona Dworsack, AuD introduce a unique solution to support varying levels of audiology patient data integration. August 7, 2017 John Buswold, Dan McNulty, Mona Dworsack-Dodge, AuD, Scott Schulz, Wendy Switalski, AuD Key members of the Otometrics/Audiology Systems’ U.S. management team—National Sales Director John Buswold, Market Management and Audiology Director Mona Dworsack-Dodge, AuD, Business Development Director Dan McNulty, Director of Service Solutions North America Scott Schulz, and Audiology Development Manager Wendy Switalski, AuD—look back and discuss new developments with the organization since its foundation in 2012. June 5, 2017 Lance Brown, Jeanette Fitzke, AuD, Angela Flores, AuD, CCC-A, FAAA, Keeley Moore, MA, CCC-A, FAAA, Jackie Phillips, AuD Lance Brown, Director of Software Integration at Audiology Systems, along with audiologists Jeanette Fitzke, Angela Flores, Keeley Moore and Jackie Phillips, discuss practical ways Otosuite can help the independent practice today with EMR, equipment, and consultative services. January 22, 2017 Clement Sanchez, Diane L. Sabo, PhD, Jeanette Fitzke, AuD, Dawn Violetto, AuD Dawn Violetto, AuD, Director of Audiology at Child’s Voice along with Otometrics and Audiology Systems audiologists—Clément Sanchez, MSc, Diane Sabo, PhD, and Jeanette Fitzke, AuD — discuss the benefits of the redesigned MADSEN Zodiac, the newest immittance solution by Otometrics. What's New in Equipment Service and Calibration? April 11, 2016 Kim Lehmann, Chad Boerst, Mona Dworsack-Dodge, AuD, Ron Taylor Interview with Kim Lehmann, CEO; and Chad Boerst, VP North America at GN Otometrics; Mona Dworsack-Dodge, Director of Market Management and Audiology; and Ron Taylor, Regional Sales Director at Audiology Systems. November 16, 2015 David Adlin, Mona Dworsack-Dodge, AuD, Diane L. Sabo, PhD, Randi Winston Gerson, AuD, Ron Saks Interview with Audiology Systems dedicated screening team: David Adlin, Mona Dworsack-Dodge, AuD, Diane Sabo, PhD, Randi Winston Gerson, AuD, Ron Saks. October 1, 2015 Wendy Switalski, AuD, Clement Sanchez Interview with audiologists Clément Sanchez, product manager at GN Otometrics, and Wendy Switalski, Au.D, audiology development manager at Audiology Systems. July 13, 2015 Mona Dworsack-Dodge, AuD, Wendy Switalski, AuD Interview with Mona Dworsack-Dodge, AuD, Director of Market Management and Audiology, and Wendy Switalski, AuD, Audiology Development Manager at Audiology Systems. March 16, 2015 Alex Carlton, Tom Riniker Interview with Alex Carlton, national sales manager, and Tom Riniker, general manager for the Sound Room Division at GN Otometrics. 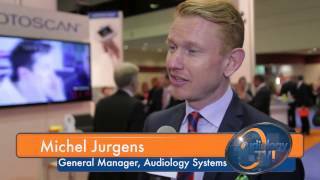 Interview with Uffe Bjerg, Vice President, North America, GN Otometrics & Michel Jurgens, General Manager, Audiology Systems, Inc. In the standard bithermal caloric test, right warm and left cool irrigations are expected to generate right-beating nystagmus while left warm and right cool irrigations are expected to generate left-beating nystagmus. Read more! September 2, 2014 In the standard bithermal caloric test, right warm and left cool irrigations are expected to generate right-beating nystagmus while left warm and right cool irrigations are expected to generate left-beating nystagmus. Read more!